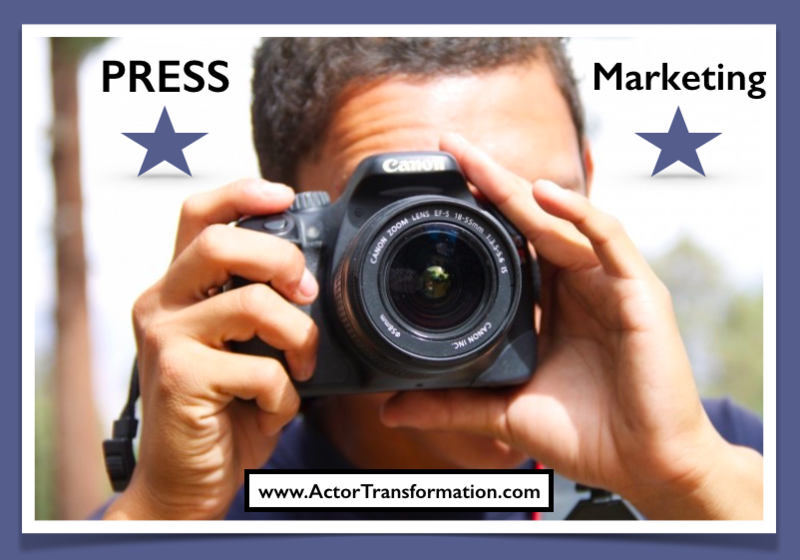 There are so many different sides to Press & Marketing in an actors career. When actors hear about “Publicity” they often believe that they are not ready for it, don’t have the money, or that publicity only happens when they “make it big”. But the truth is that every actor should be promoting themselves and their projects…no matter what level they are currently at in their careers. Publicity and marketing for your career is not just interviews with Oprah or the cover of Cosmo… it is everywhere! In just about everything you do. Whether it is how your fellow actors think of you in your acting classes or how you show up when talking about a film you just acted in. It is very common for actors to just get a headshot, and acting class, and an agent… then many pretty much don’t know what to do after that. But we are in a very exciting time where actors have more opportunities and more options to take control over their careers than ever before. And even though it is important to be strategic in where you spend your time, please know that there is Always MORE to do if you so choose. Today’s article is a simple list about a not-so-simple subject. Here is a VERY partial list with many facets of the “Business Side of the Biz”. The above list is really more of the beginnings of a brainstorming session for the actors out there that don’t know “what to do next”. It is also for those who just have a headshot, acting class, and agent, but want to move up into having a career. Remember that those are just the beginning. One thing is sure about an acting career…. It is never boring if you are really in the game. Make sure that your actions and efforts are powerful enough to warrant the successes and rewards that you desire. It’s a wild ride! So make sure that you are actually on the roller coaster!